Be creative There are 3 products. 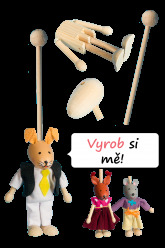 Do you want to make your own puppet? Our creative kit will make your wish come true. It contains things that most of us can´t easily make at home and still there is enough space for ones own creativity. 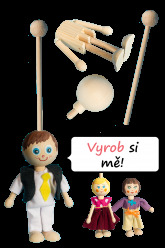 So you can make the same puppet as in the picture or you can release your imagination. Have fun!